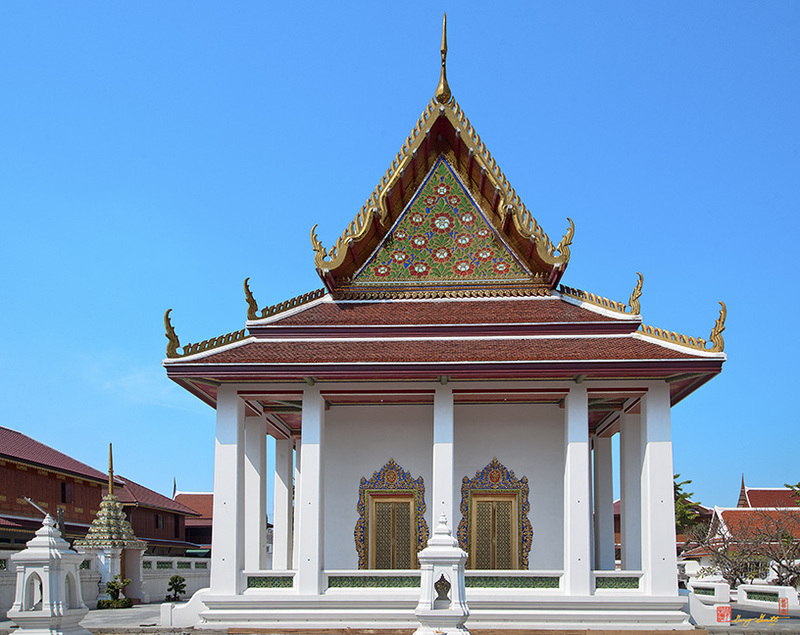 Wat Nang Ratchaworawihan, วัดหนังราชวรวิหาร, is an ancient monastery built during the Ayutthaya period. 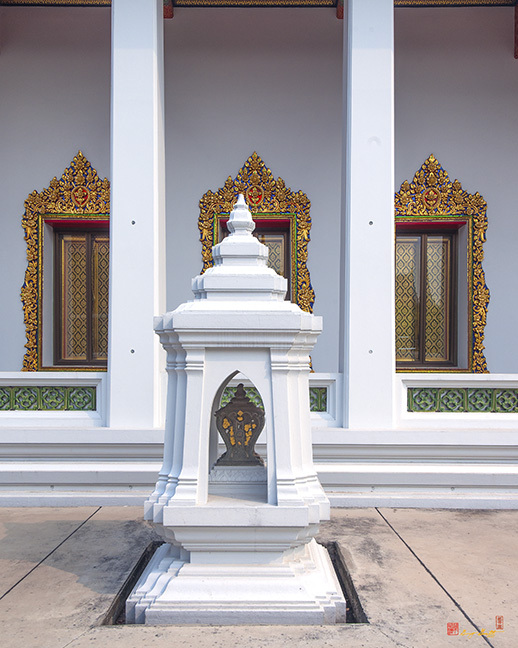 It was later abandoned for almost two centuries. 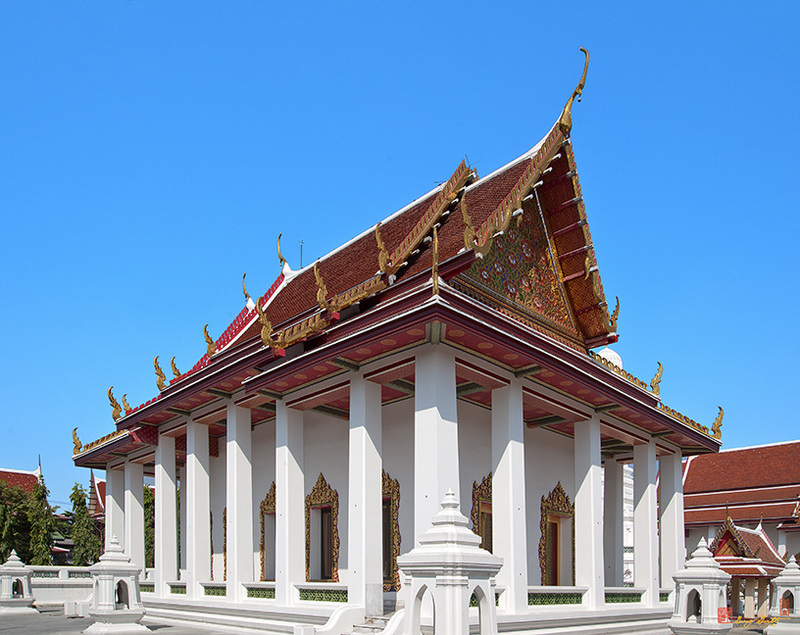 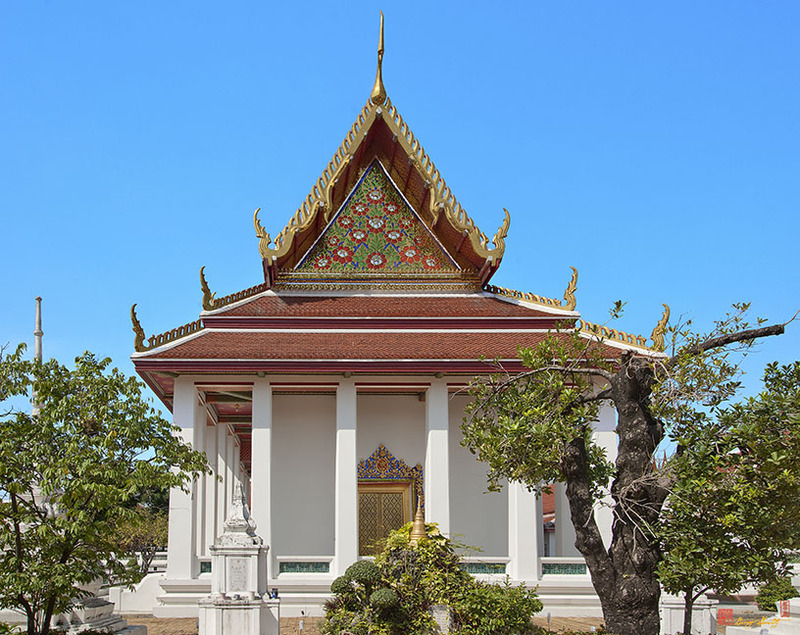 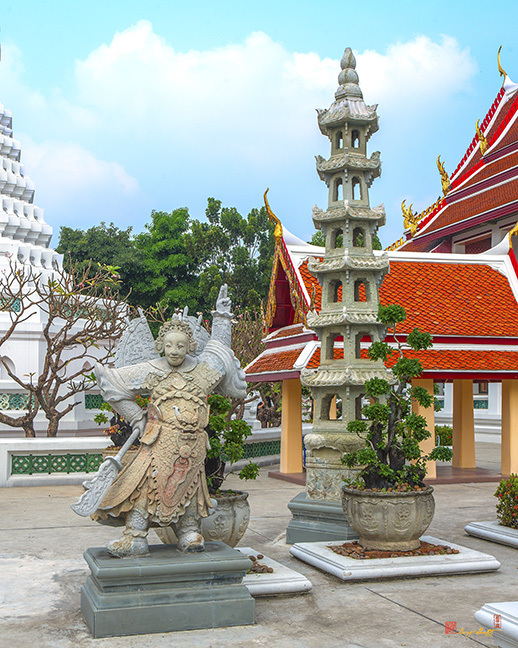 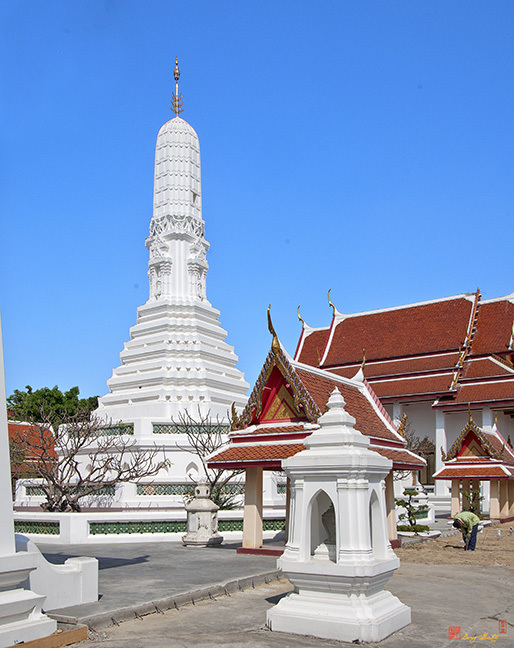 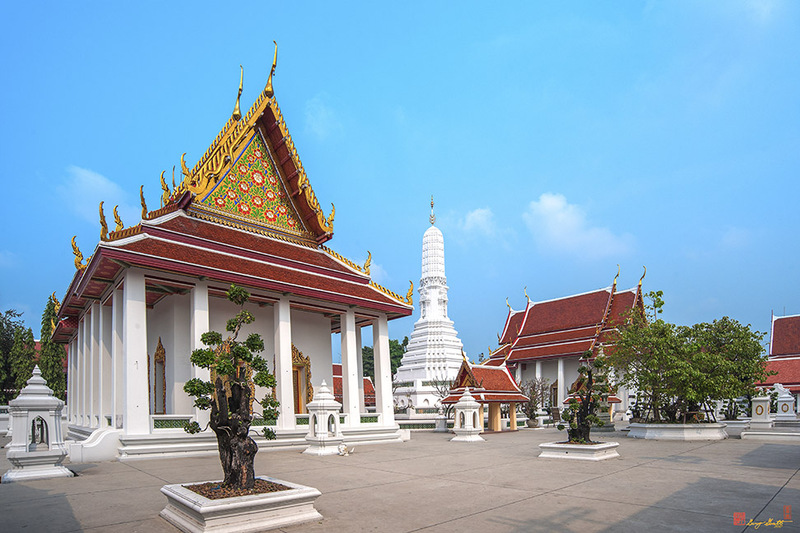 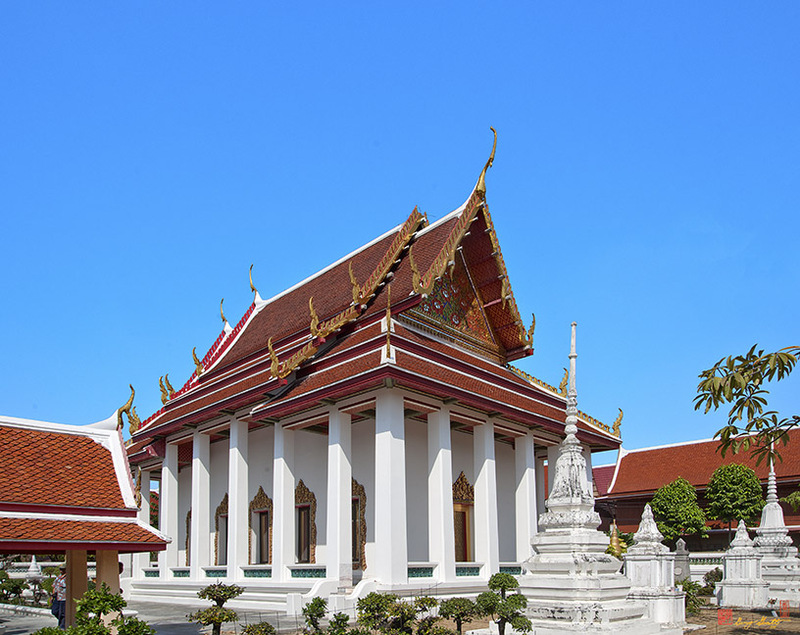 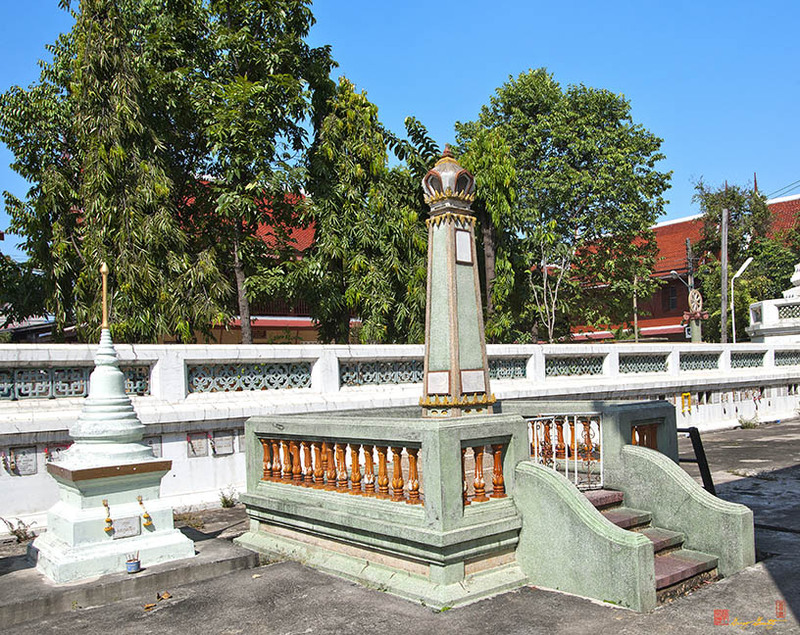 During the Bangkok period, Somdet Phrasrisulalai, mother of King Rama III (1824-1851), renovated the temple with the exception of a few objects such as the principal Buddha image in the Phra Ubosot (Ordination Hall), the Buddha image in the Phra Wihan and the bell. 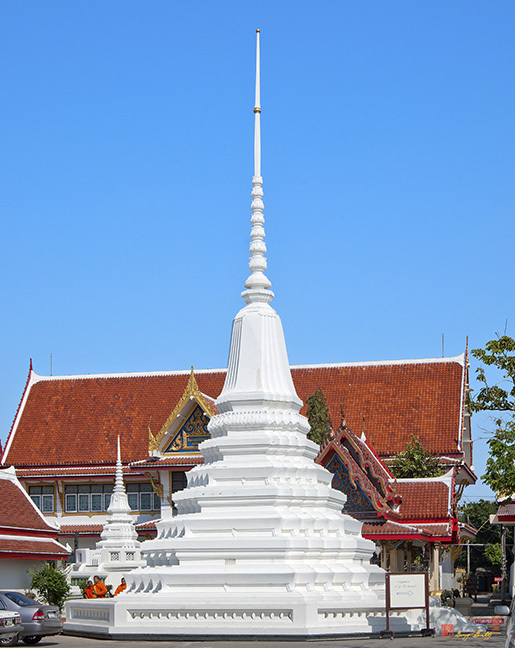 The temple renovation was celebrated in 1837. 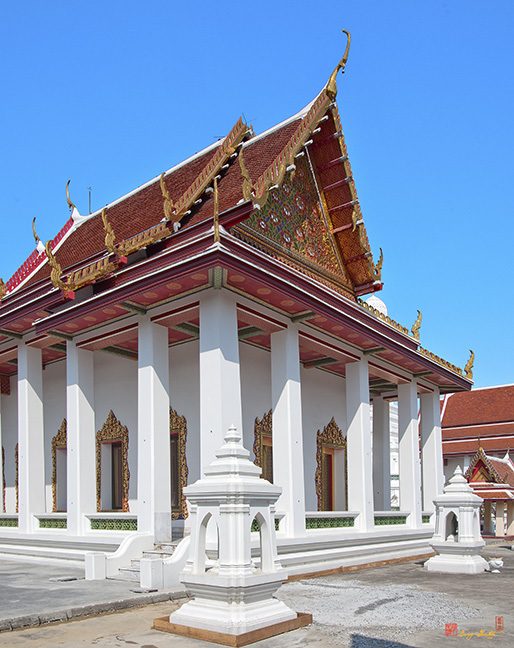 During the reign of King Rama V (1868-1910), restoration was again carried out to improve the temple's state of preservation. 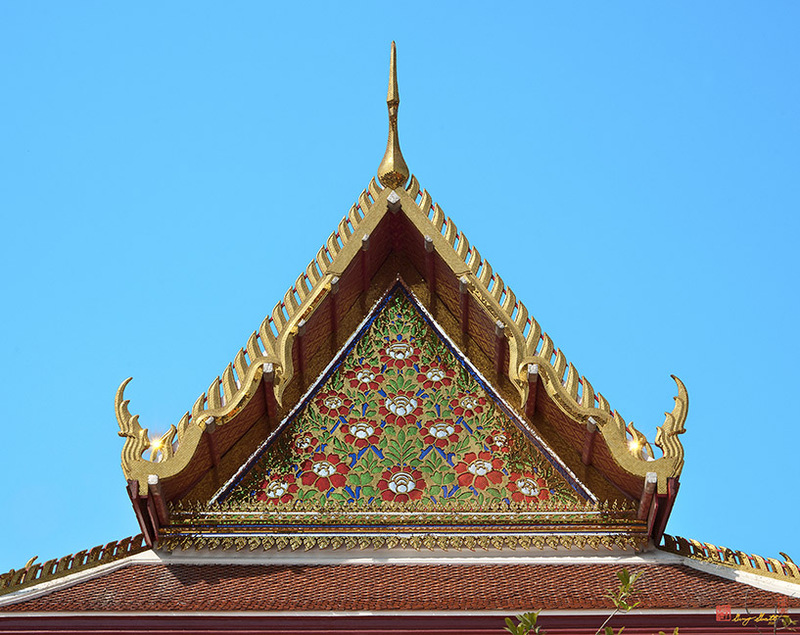 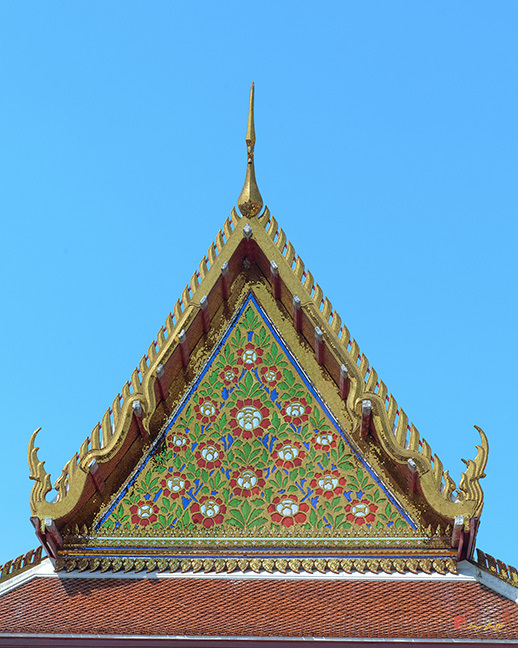 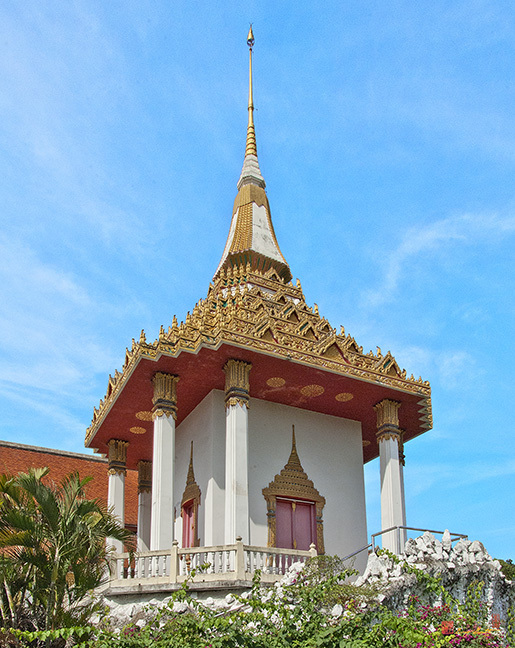 The Phra Ubosot, constructed with bricks and lime cement, has a three-tiered roof. 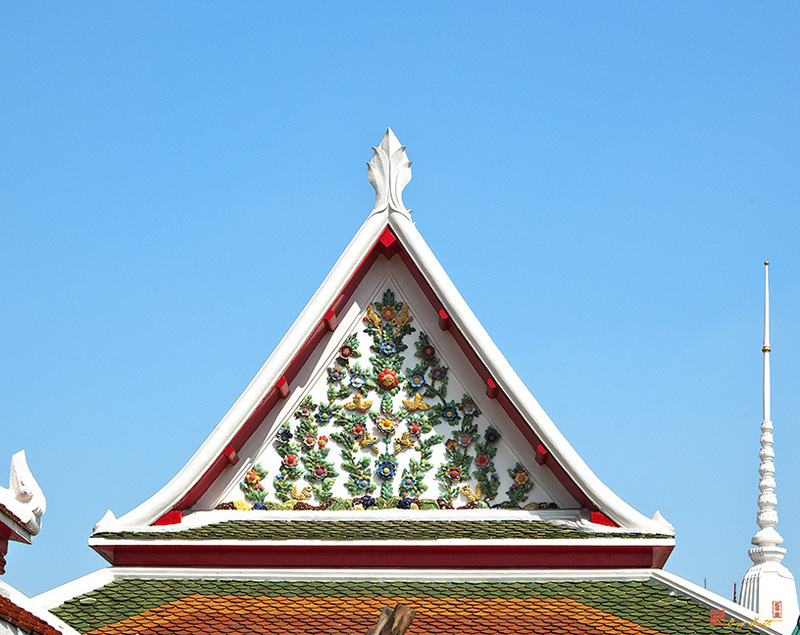 Inside the building there are paintings on the upper wall of Falling Flowers. 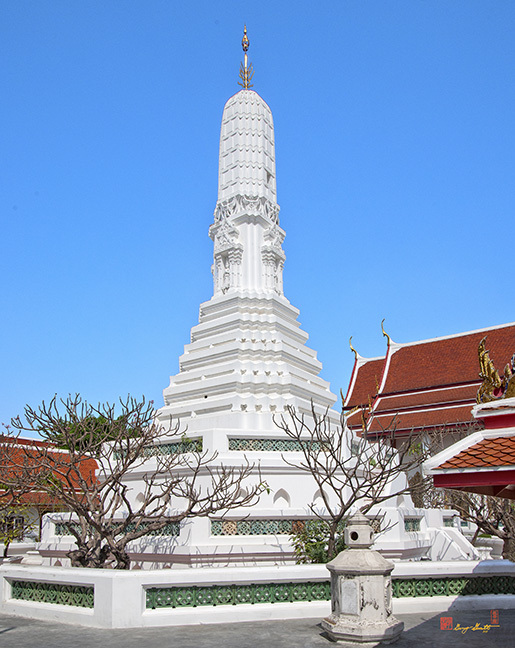 The principal Buddha image was made in the style of Sukhothai art in the Subduing Mara (Satan) Mudra or pose. 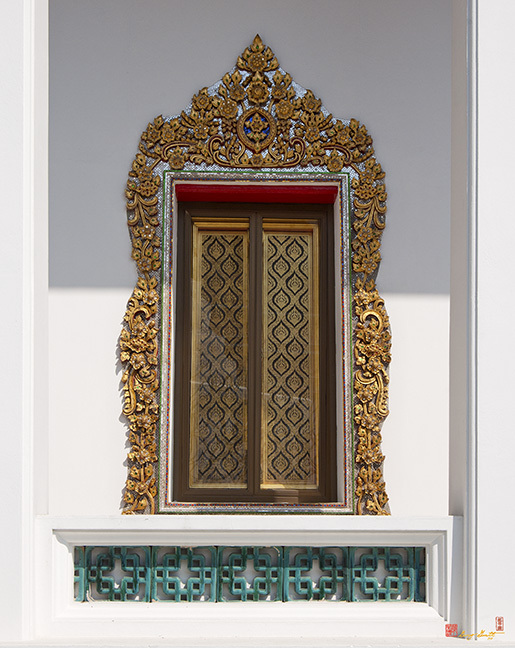 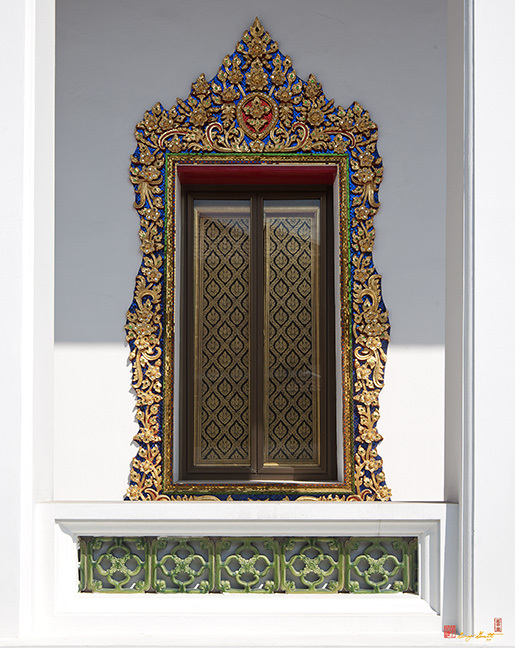 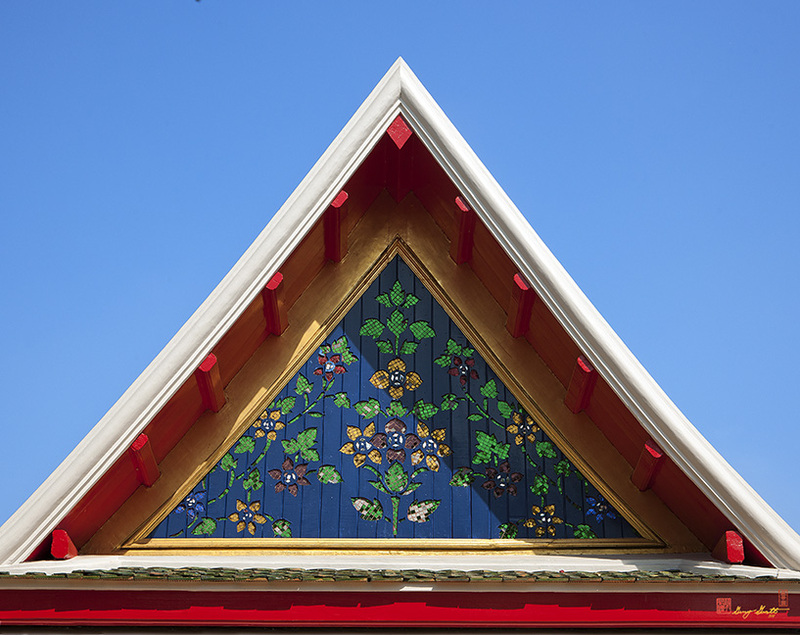 In addition, the image of the late most revered monk, Luang Pu Thao is kept here.